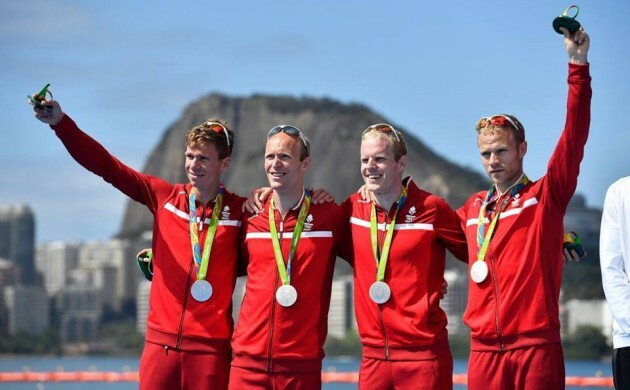 The Danish Olympic team got back on the medal trail in Rio yesterday when the lightweight coxless fours won silver. The rowing foursome – consisting of Morten Jørgensen, Jacob Barsøe, Jacob Søgaard and Kasper Winther Jørgensen – got off to a good start and held the lead after the first 500 metres before favourites Switzerland pulled away for the gold. France took bronze. While the Danish lightweight coxless fours boat couldn’t quite live up to its nickname, ‘Guldfiren’ (‘The Golden Four’), it has now won medals in six straight Olympics. The silver means that Denmark now has two medals at Rio and currently stands 39th in the overall table, holding the uneviable position of the fifth highest-ranked team without a gold. Denmark had the opportunity to increase their medal count later in the evening in the swimming, but Jeanette Ottesen and particularly medal favourite Rikke Møller Pedersen – the world record holder in the 200 metres breaststroke – disappointed in their respective finals, both coming last. Both swam slower than in their previous race, with Pedersen 1.29 seconds off her semi time in the 200 metres breaststroke (and 1.02 seconds worse than her heat), which saw her qualify as the fourth fastest. Both swimmers will be hopeful they can pool their talents together for the Women’s 4x100m medley relay, of which the heats start today at 20:30. The bookies rank them the sixth best team in the field.